To most people Valentine’s Day means spending the day with a loved one and declaring your undying love, however… I went down the pub with several of my fellow Alton Sports Ambassador friends. We met at Farnham station, drank some coffee and boarded a train to London. 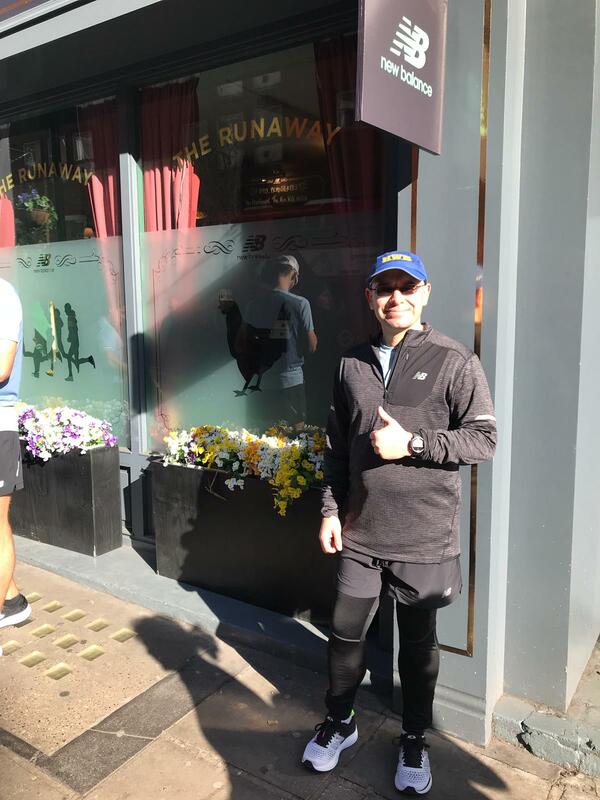 Today we were to be guests of New Balance at their pop up running pub for the London Marathon – The Runaway! We all felt like country mice running through London to the venue, there were so many people and traffic was very heavy, especially when you are used to rural country lanes. The run was just under a mile and we were all smiling, we arrived at the pub & immediately I felt like I was in an episode of Minder. Apart from the New Balance logos around the place it looks like a typical pub, down to the carpet that I think my nan & grandad had in the 70s. 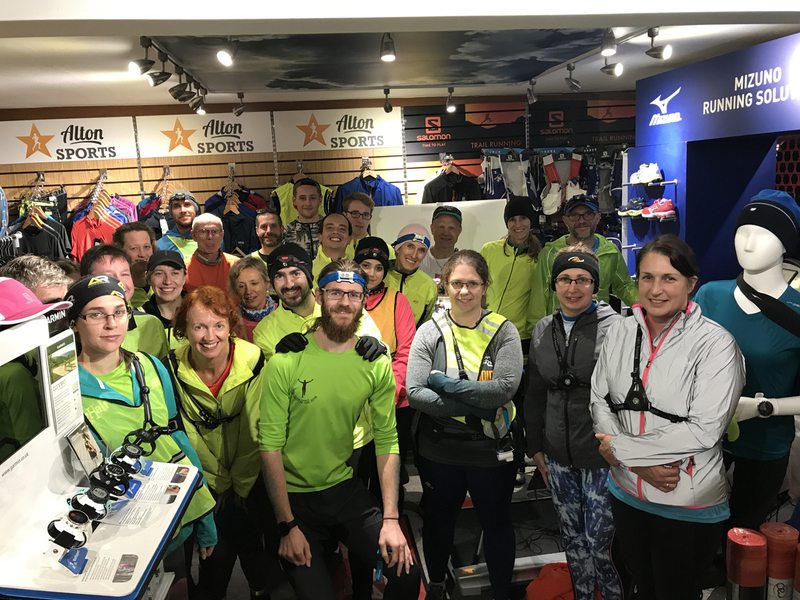 We were met by three members of the New Balance team who took us round the Pub and also showed us the pub party trick of opening the duke box and revealing a staircase down to a basement. Down the stairs we saw perfection, the room was decked out with running machines, kettle bells, a yoga area and lockers so club runners can leave their kit while they went for a run. Time for shoes! 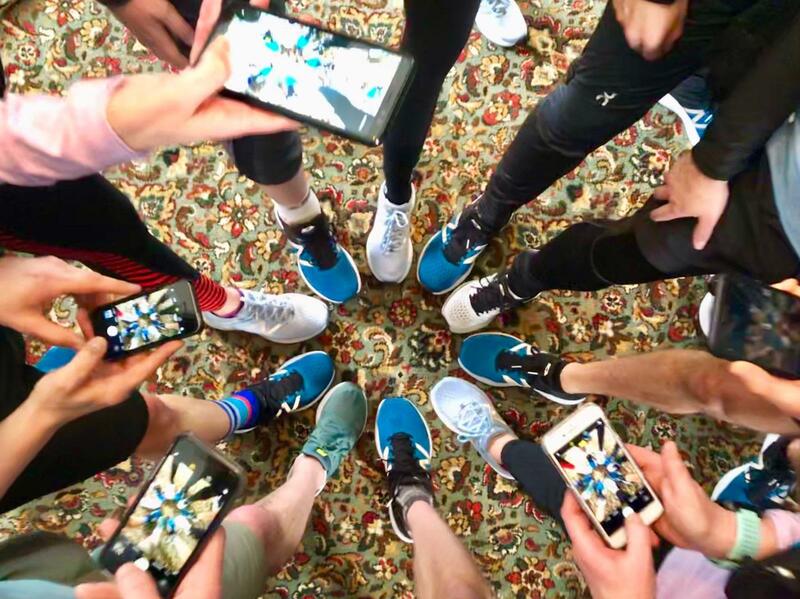 We got to try on some of New Balances range and see their equipment designs for this year’s London Marathon. 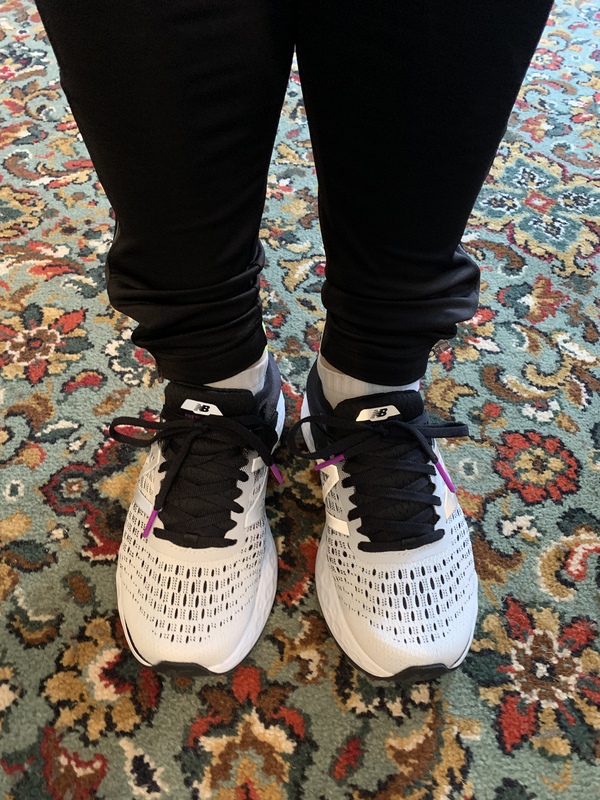 I tried the 1080 shoe from the current range & they were superb, very bouncy just as I like them, we will be going for a run later. After a coffee break, we were shown the marketing campaign for this year’s London Marathon. The campaign is based around real people actually using the equipment to train for a big event. The video was very inspiring and it was very refreshing to see normal people and not perfect bodied athletes making it look easy, the four months building up to a marathon are not easy! 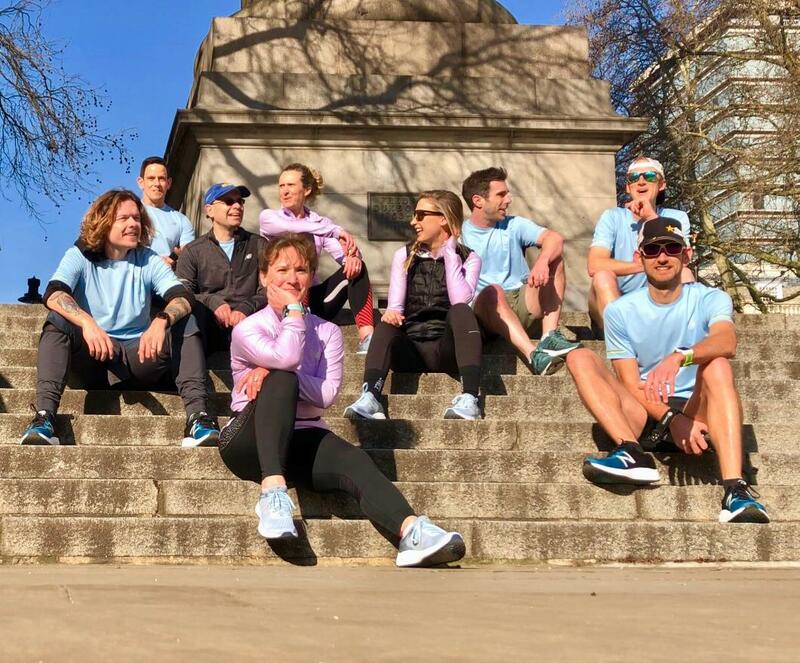 After a moment of reflection on what New Balance have achieved we left the safety of the pub to go for a run around London. Wow lunch time sure is busy in our nation’s capital! The amount of people was just incredible, however we stayed together as a group and got lots of photos of the sights, we even saw the Queen! Or maybe she came out to see us? We ran past Parliament and Buckingham Palace and just for me we did the final leg of the marathon. 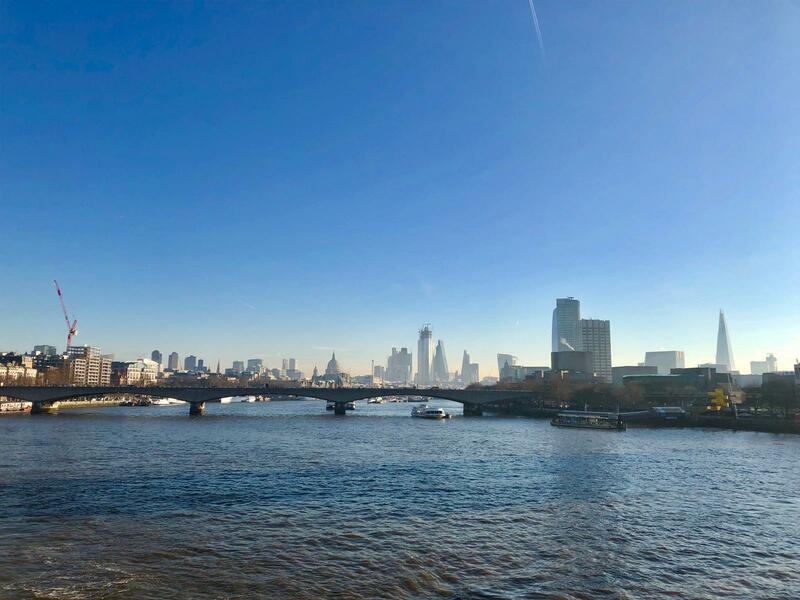 I am running the London Marathon 2019 and I am looking forward to it and doing that journey for real. 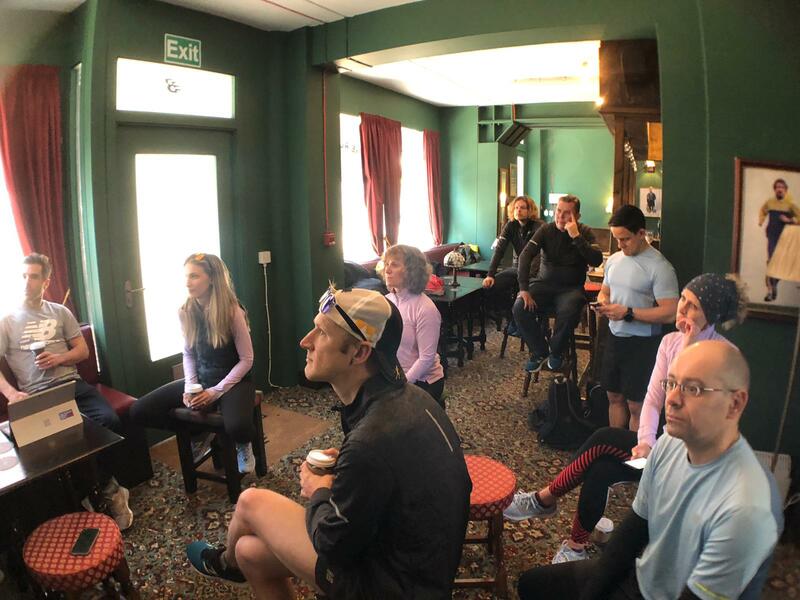 We finally returned to the pub for a pub lunch and a gentle Q & A with the New Balance reps. 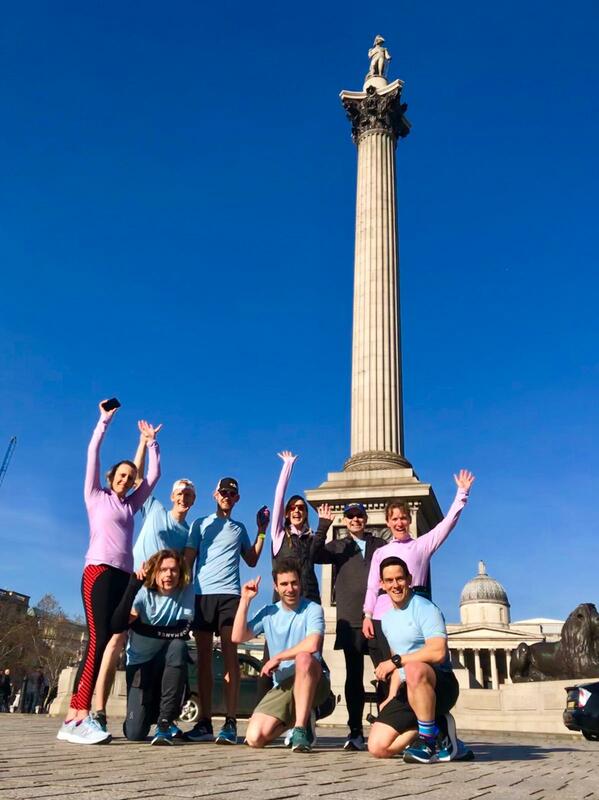 I have to say that we all enjoyed our day out at the pub and I recommend if you find yourself in London before the Marathon, that you do check it out. 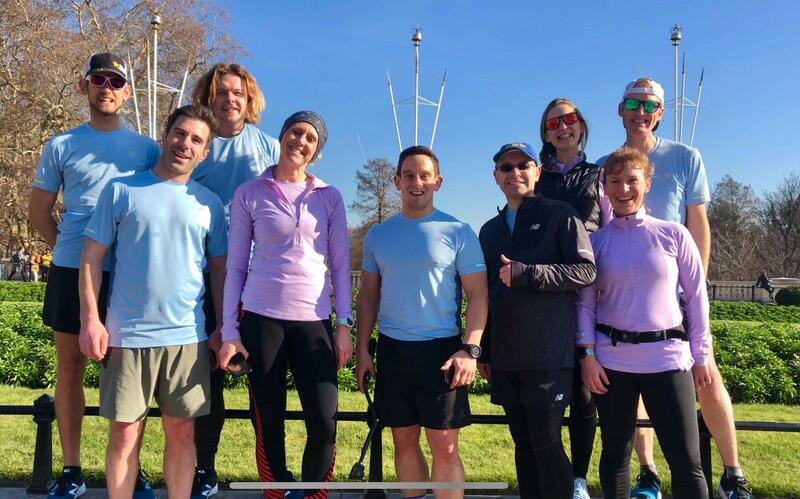 What could be better – running and beer! As runners, we all have to get some of our running in at night. At this time of the year it can be hard to motivate yourself to go out and run, especially when it’s peeing down with rain, you’re getting blown over by a gale and your fingers feel like frozen stalagmites. 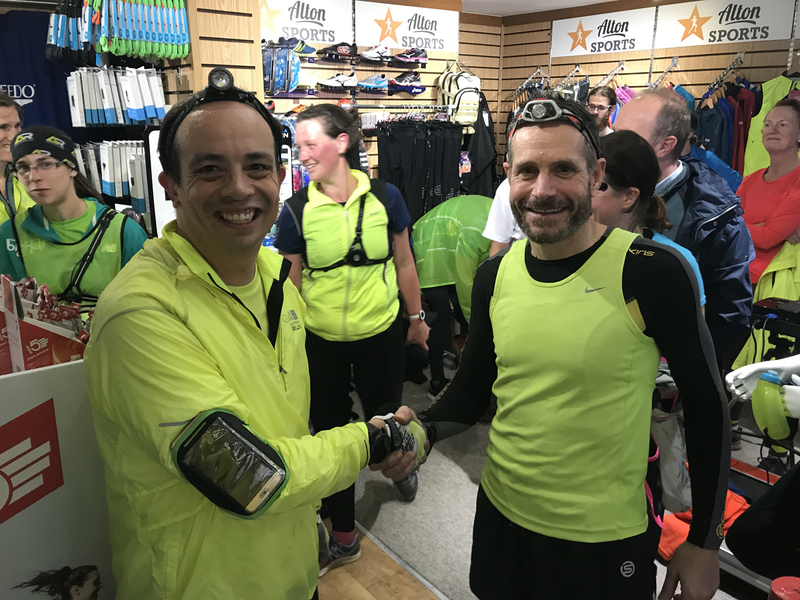 The Fly At Night Tour (it sounds like a great name for a rock n’ roll band tour), comprises of four dates across our stores and has the legendary Hoka One One bringing along their lovely new Mach & Cavu Fly At Night Shoes for people to run in. Our friends at SKINS are also bringing along the best in compression tights for keen runners to try on. 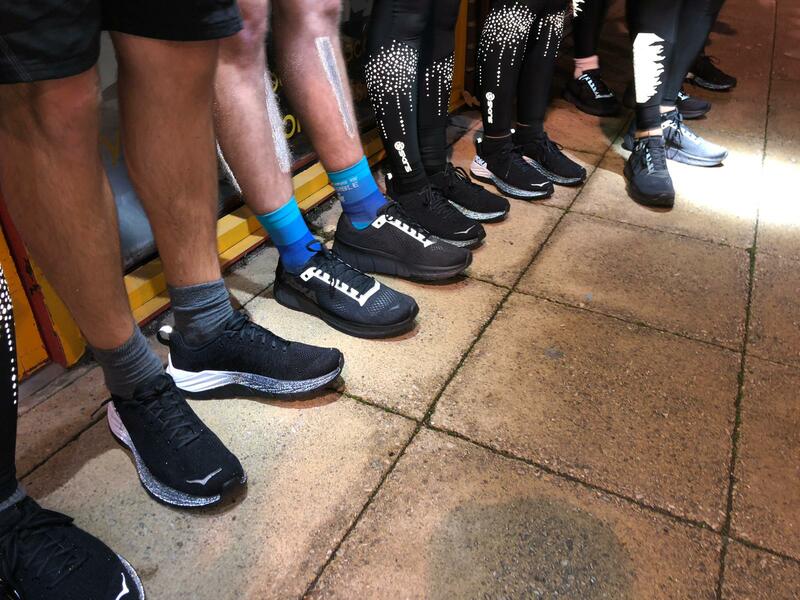 Not to forget that the brands are giving away shoes & tights on the night to lucky winners… we know how to run an event here! 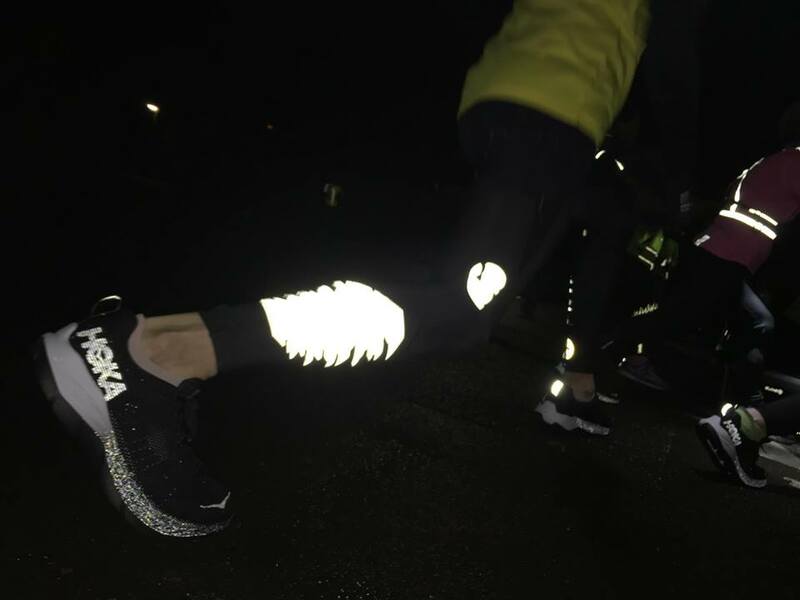 The Hoka Fly At Night range is designed for those who run before dawn and after dusk and offers the lightest cushion with no limits – both shoes have reflective logos and offering an alternative colour-way to the normal bright brigade that Hoka is known for. 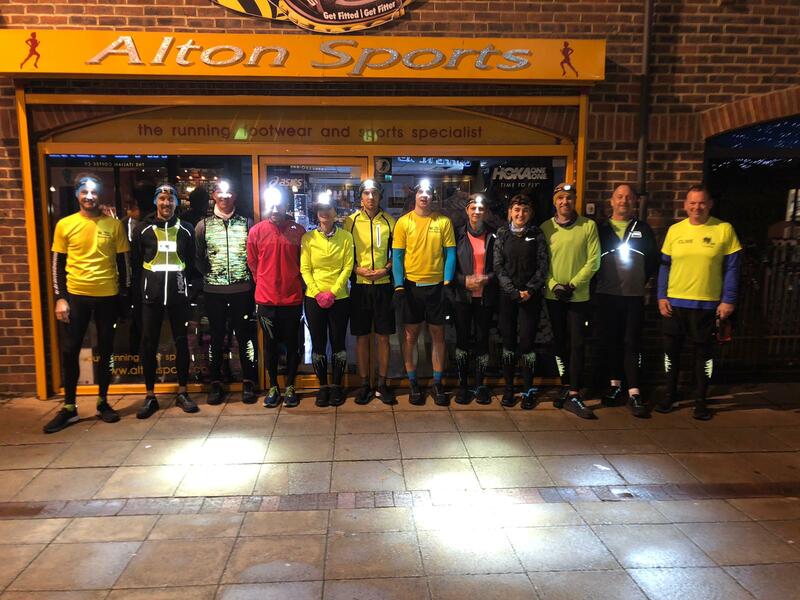 The shoes are ideal for the session we did with Alton Runners (6 x 800m intervals) and are were also perfect for running around Eastleigh at night. 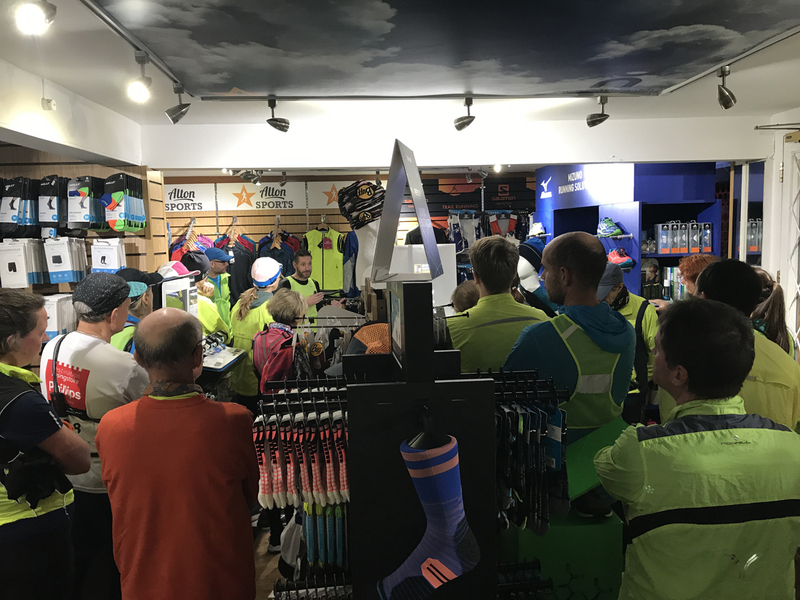 Martin from SKINS also very kindly talked to everyone about compression – how it works, why you need it and about everything that SKINS can do to aid your running. Ears were particularly pricked when he mentioned that they can help you run faster over time! 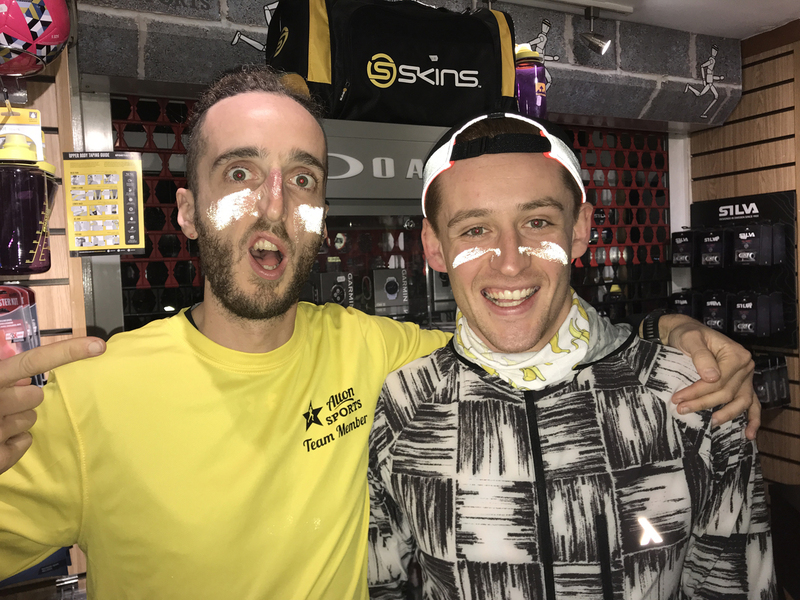 If you’re looking for compression and especially a really quality product, then Skins are a must to try on. Thanks very much to everyone who came along to our events at Eastleigh and Alton. 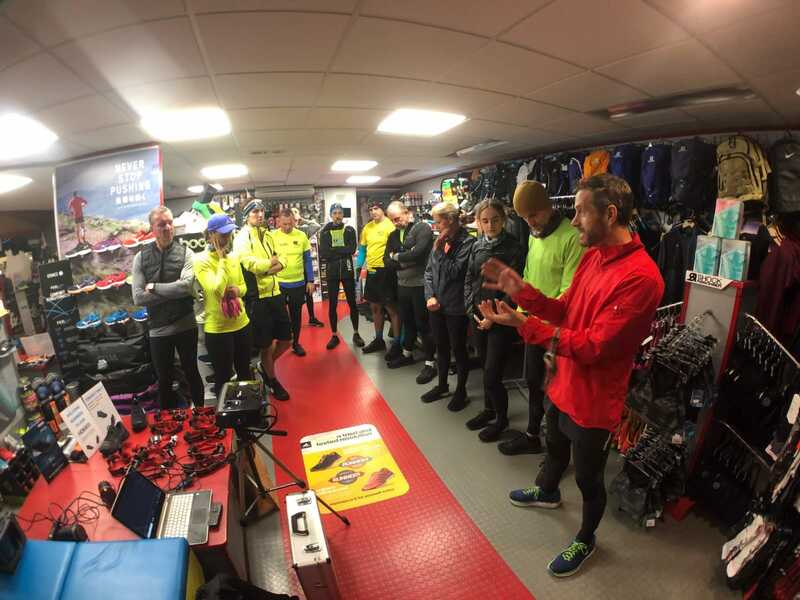 We have two more dates left – the 545 Run Club at Gosport on Dec 5th and running out of Farnham Store on Dec 6th. 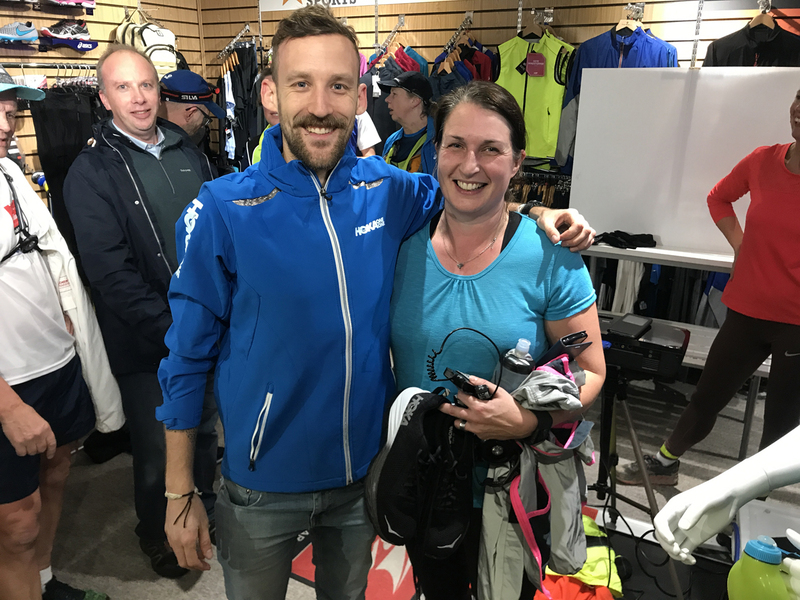 Our advice is to come and try on some lovely lightweight shoes and the best in compression! It’s all free, you get to run, and you can ask the experts anything you want. What more could you want? SIGN UP for the last two dates here. Shop Hoka One One and SKINS on our site.